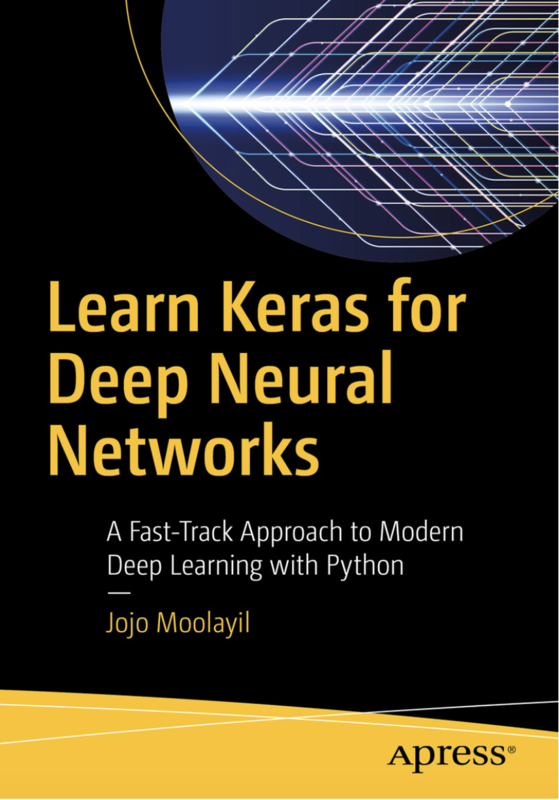 What is the book about?Learn, understand, and implement deep neural networks in a math- and programming-friendly approach using Keras and Python. The book focuses on an end-to-end approach to developing supervised learning algorithms in regression and classification with practical business-centric use-cases implemented in Keras. The overall book comprises three sections with two chapters in each section. The first section prepares you with all the necessary basics to get started in deep learning. Chapter 1 introduces you to the world of deep learning and its difference from machine learning, the choices of frameworks for deep learning, and the Keras ecosystem. You will cover a real-life business problem that can be solved by supervised learning algorithms with deep neural networks. You’ll tackle one use case for regression and another for classification leveraging popular Kaggle datasets. Later, you will see an interesting and challenging part of deep learning: hyperparameter tuning; helping you further improve your models when building robust deep learning applications. Finally, you’ll further hone your skills in deep learning and cover areas of active development and research in deep learning. At the end of Learn Keras for Deep Neural Networks, you will have a thorough understanding of deep learning principles and have practical hands-on experience in developing enterprise-grade deep learning solutions in Keras. Who This Book Is For? Software engineers and data engineers with basic programming skills in any language and who are keen on exploring deep learning for a career move or an enterprise project. With an increasing number of devices getting connected to the Internet, massive amounts of data are being generated that can be used for analysis. 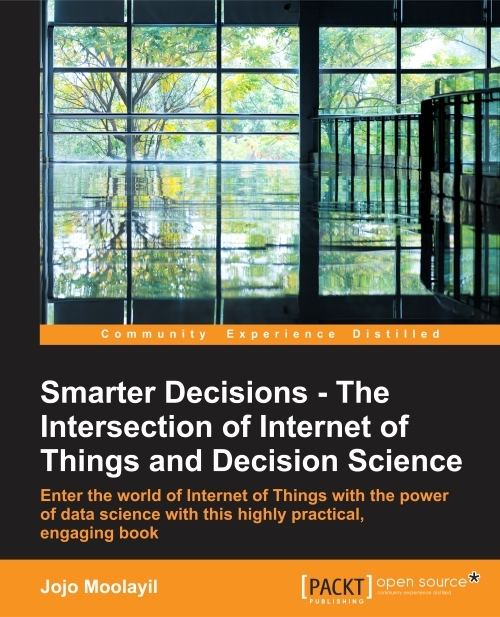 This book helps you to understand Internet of Things in depth and decision science, and solve business use cases. With IoT, the frequency and impact of the problem is huge. Addressing a problem with such a huge impact requires a very structured approach. The entire journey of addressing the problem by defining it, designing the solution, and executing it using decision science is articulated in this book through engaging and easy-to-understand business use cases. You will get a detailed understanding of IoT, decision science, and the art of solving a business problem in IoT through decision science.